Tell us about yourself: Love dogs, wouldn't be here if I didn't. Have been doing lots of research on what dog fits my needs and that I can properly care for. I have finally landed on the Dutch Shepherd and am looking to own one of my own. I thought this would be the best place to go, to gather even more knowledge on this awesome breed. I have been doing research into a variety of breeds and have finally landed on the Long Haired Dutch Shepherd. I love their somewhat wild/majestic look as well as their character traits and trainability. However, after long searches, through the many pages of google, as well as asking dutch shepherd owners I know, I am having quite a difficult time finding a long haired Dutchie. Almost all search results and puppies being offered are for short haired Dutchies. I would appreciate if someone could give me hand by leading me to a good long haired Dutch Shepherd breeder or let me know if they are breeding any of their own. Any help would be great! Thanks! You might find some negativity from folks when you pursue acquiring a Dutch Shepherd by looks. 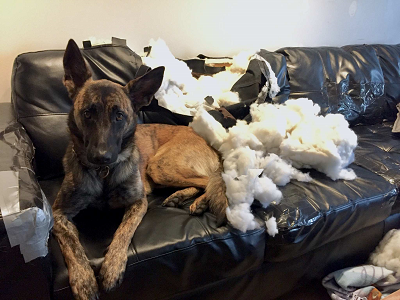 You're absolutely right that the long-haired variety is amazing and majestic, but those looks come with all the responsibility of owning a Dutch Shepherd. As for finding one, you might have to move your search to Europe. Most of the US dogs are here for military and police work and come from KNPV lines that are bred for that type of work - short haired making up the bulk of this. Thanks! I appreciate the input and advice. I will continue me search. There are lot longhaired ds in Finland and Sweden. But longhaired varietes tend to have sometimes poor character, and they are not as easy to motivate as shorthaired ds is, difference is huge as breeders breed them lot cause based of looks. There are showbreeders, and crossbreeders who try to bring more shorthaired like gualities back for longhaired. Mine is longhaired, but in her genes u find lots of longhaired working ds and also shorthaired ds. For exable there are coming longhaired puppies, witch are also registered and purebreed. There are also upcoming interesting breeding, shorthaired x longhaired, and they be registered longhaired. is there another reason besides looks you want that dog? That is really a poor reason to get a dog. Especially a high drive high prey drive dog. I have a long haired DS, he's KNPV lines though. He's more of a "Medium Hair" which was one of the standards a long time ago. Last edited by Mark77 on Wed Sep 19, 2018 11:45 pm, edited 3 times in total. If you just want long hair i say no. Even in here much of those are like more coachpotatoes. And if u want ds u should not think of coat. Mine was more like a rescue so ended up with her. With more fur in the baddest situation u get fearful biter. Cause many longhaired ds have that fear, really, it is the finland character test. Mine has been annoyd from gunshots or sorts, lucky not fearful still. Also my ds likes guests yes, but after a couple minutes ignores them so.. Same goes with dogs, playing few minutes then goes back for me, leaning my foot and ignores all play invites. Also she has high prey drive. And never would i allow her to be with children. Need to know what are u looking, what do u want from dog. even easier form these are not easy. You have to look at the bloodlines. If the dogs are primarily FCI or pure blood lines then they won't be as keyed up or protective as purpose bred KNPV bloodlines. Mine has KNPV titled dogs going back decades in his lines. Mine is not shy, nor timid, will hit a hard sleeve and such. He does not react to gunfire and can be a handful at times.